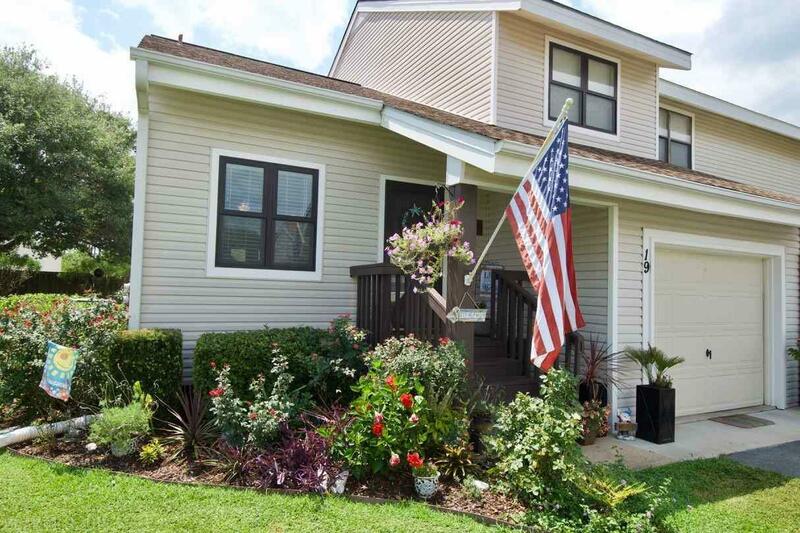 Beautifully renovated 3 bedroom 2 bath townhome in Orange Beach Mariner Lakes with deeded beach access! This remarkable unit features new paint throughout, new wood laminate floors, new carpet in the bedrooms, a new 16 SEER Trane Heatpump, new Martha Stewart soft close cabinets, new stainless steel refrigerator, new stainless steel dishwasher, new stainless steel range, new double panes windows, new patio double doors, new full size washer & dryer, new hot water heater, newly tiled showers in both baths, & more! This unit features a 1 car garage with ample room for storage or a golf cart and a rear deck for grilling and enjoying the sunshine!